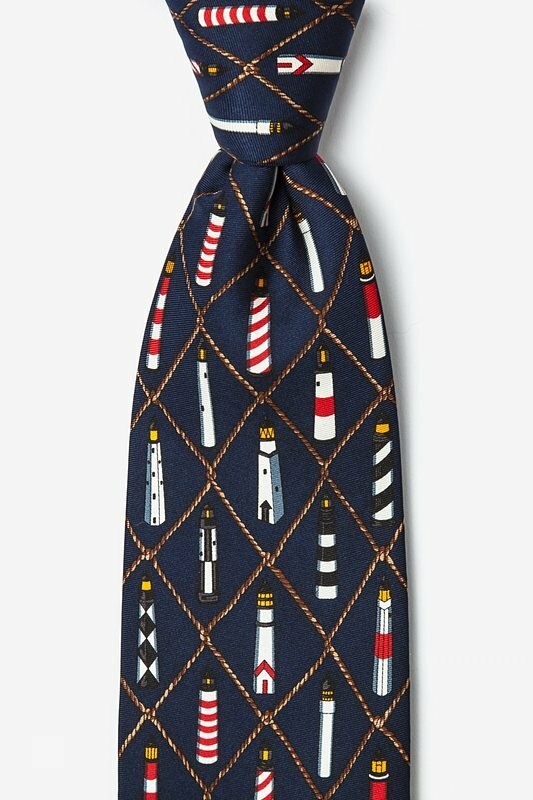 Whether sailing is your passion or you simply love nautical themes, this tie is sure to bring a smile to your face. 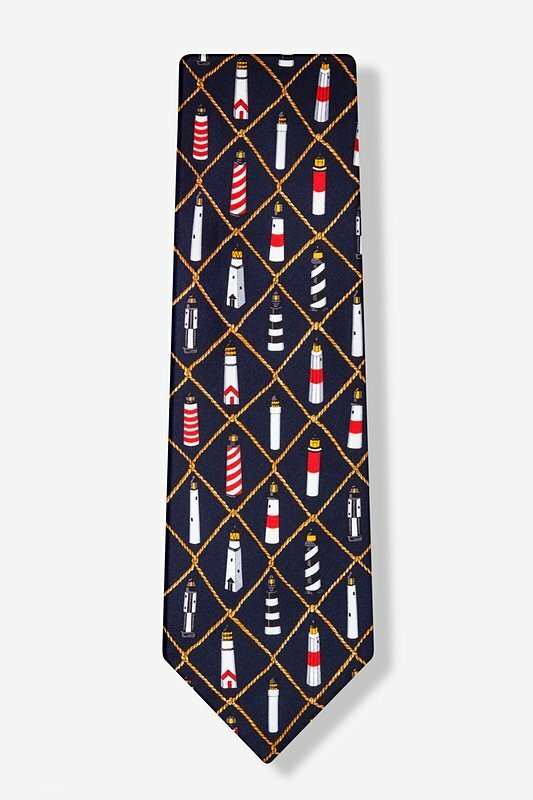 On this bold navy blue 100% silk necktie, lightho... read more Whether sailing is your passion or you simply love nautical themes, this tie is sure to bring a smile to your face. On this bold navy blue 100% silk necktie, lighthouses are accented by roped netting. 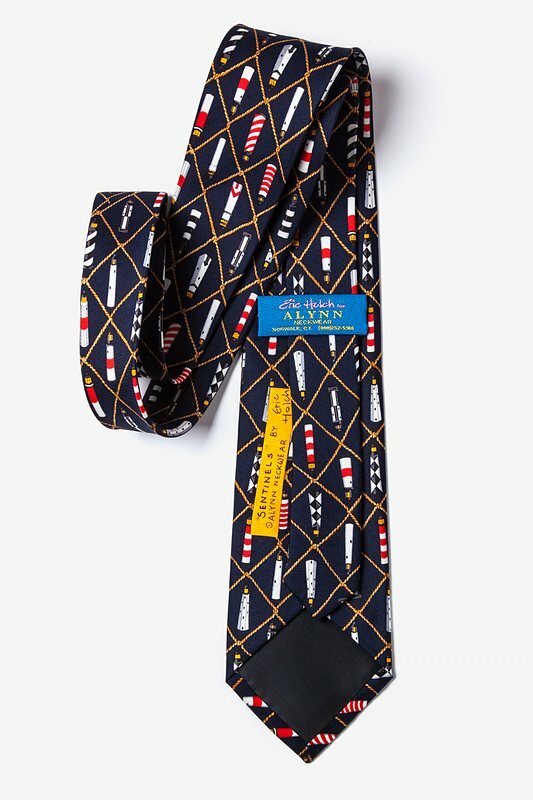 Sophisticated enough for work and informal occasions, this novelty tie is sure to liven up any drab workweek outfit.